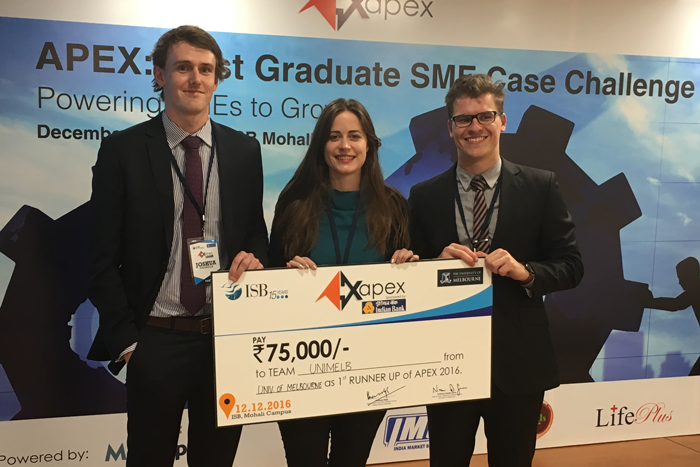 On 12 December 2016, Emily Jenkins, Anthony Secoulidis, Georgia Watson and Joshua Wright celebrated their second place win at APEX, a global Postgraduate Business Case Competition jointly hosted by the Indian School of Business (ISB) and the University of Melbourne. The team's second-place win showcased the their talents at an international level - a great result to bring 2016 to a close for the Faculty of Business and Economics. While Secoulidis and Wright had competed in the Melbourne Business School Student Association Case Competition earlier in the year, it was Jenkins’ first exposure to a challenge at this level. However, the challenges that the team faced were larger than a case of stage fright and public speaking faux pas. Although the team appreciated the opportunity, they did not foresee the complexities of an international context until they landed in India. Should the company expand now? If not, why? And what should it do with surplus cash on hand? With their agility and ability to adapt to the local business climate quickly, the team confidently carved out solutions and presented a report that placed them into a well-deserved, triumphant second place. “Our major fears were not having accurate local Indian knowledge both culturally and business wise for our presentation. We overcame this by immersing ourselves in the culture, experiencing as much of the country as we could before the competition and making new friends there,” Jenkins said. Secoulidis reflected that the experience was unique and one he highly recommends to all students. “The experience was unlike any other I had been a part of. International case competitions require so much of you and provide such valuable learning experiences that you would be amiss to not attempt to participate in one,” he said. 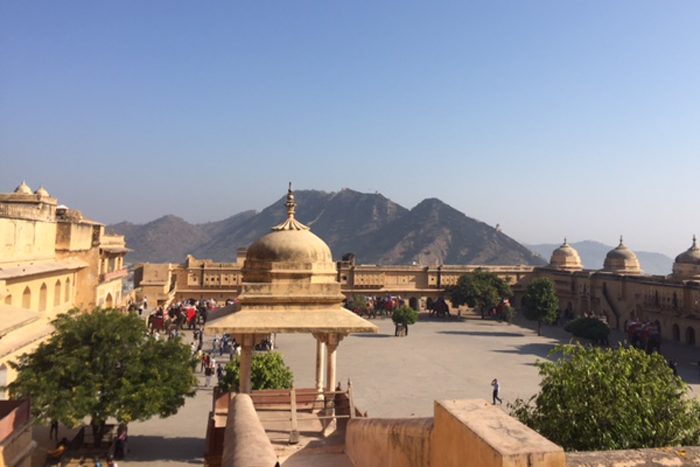 Anthony Secoulidis: As someone who had not really travelled before this, India was a surreal experience that exposed me to an entirely new culture and history. A key highlight of the trip for me was going out with our contact at ISB, who showed us the lively nightlife of India, and also the proper way to eat Indian cuisine. Emily Jenkins: Travelling to India was an exciting tick off my bucket list. The country is filled with a rich history and a beautiful culture full of life and vibrant colours – and the food was delicious! The Taj Mahal was breathtaking, as were many of the forts and temples. Being able to research a company within a new business culture for the case and then going over and actually experiencing it first as tourists on our own, then with the ISB students was really special and eye-opening. 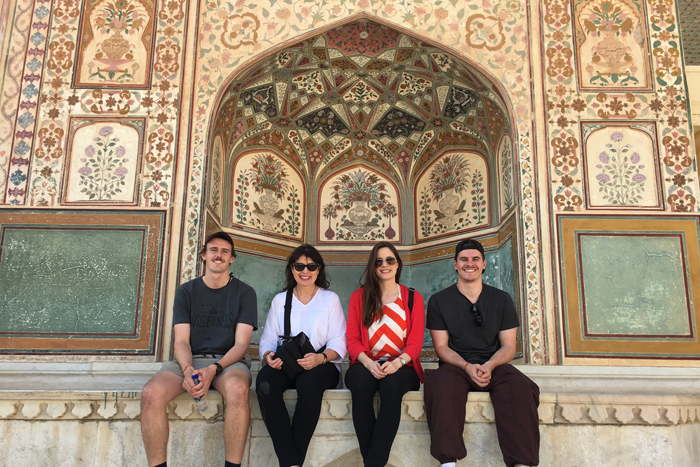 Joshua Wright: Whilst the competition itself was a highlight, the whole experience in India provided a real insight into the political and socio-cultural differences they have with Australia. Whilst reading facts and figures about India’s economy was interesting before, I never quite realised the impact that it had on the people that drove it. Being able to meet and interact with such a wide variety of people was definitely the greatest learning experience for me.